Rx Systems Age Defense Antioxidant Serum C is an advanced anti-aging formula designed to improve skin elasticity, texture, reduce brown spots and decrease the appearance of fine lines & wrinkles. As the name indicates, the featured ingredient of this product is Vitamin C at a high concentration of 20% to protect and repair skin by addressing various skin care concerns. Age Defense Antioxidant Serum C contains the finest USP pharmaceutical grade L-ascorbic Acid (Vitamin C) antioxidant essential for skin cell growth and collagen production. Designed for all skin types, Antioxidant Serum C prevents premature signs of aging, lightens and brightens skin tone and helps accelerate the healing of skin. Formulated with 20% L-ascorbic acid, other powerful antioxidants, and utilizing advanced pH Science to enhance penetration and effectiveness. First off, it’s important to know how does L-ascorbic acid (Vitamin C) benefit your skin? It is a potent antioxidant that defends skin against environmental damage by working synergistically with your sunscreen to neutralize UV generated free radicals which otherwise would destroy skin cells and its components. Once in the skin, L-ascorbic acid (Vit C) also stimulates collagen synthesis because collagen requires Vitamin C for hydroxylation which is a process that allows the collagen molecule to form a stronger molecular configuration. Now that we have covered the scientific aspect of the formulation, let’s talk about the product itself…. The Age Defense Antioxidant Serum C is packaged in an airless pump which creates a vacuum effect minimizing any exposure to air during the product’s shelf life. It is recommended for use at night on clean skin before moisturizer is applied – pat face dry and gently massage serum into face and neck. The serum has a very lightweight liquid texture and absorbs instantly without leaving any residue whatsoever. It does have a faint citrusy-sweet scent but that dissipates quickly. When I first started using this serum about 3-4 weeks ago, I experienced a bit of stinging sensation for the first three days on my skin until a few seconds after applying the product. However, now that has subsided as I have continued using the product every night. Although I am not quite sure about the reason, it could have happened because of the high strength (20%) of vitamin C in the formula. So, if you have sensitive skin, this serum might not be a good choice. As for the results, I have definitely noticed an overall improvement in my skin tone. Disclosure: This review features a sample product provided by PR for consideration only and reflects my honest opinion as always! 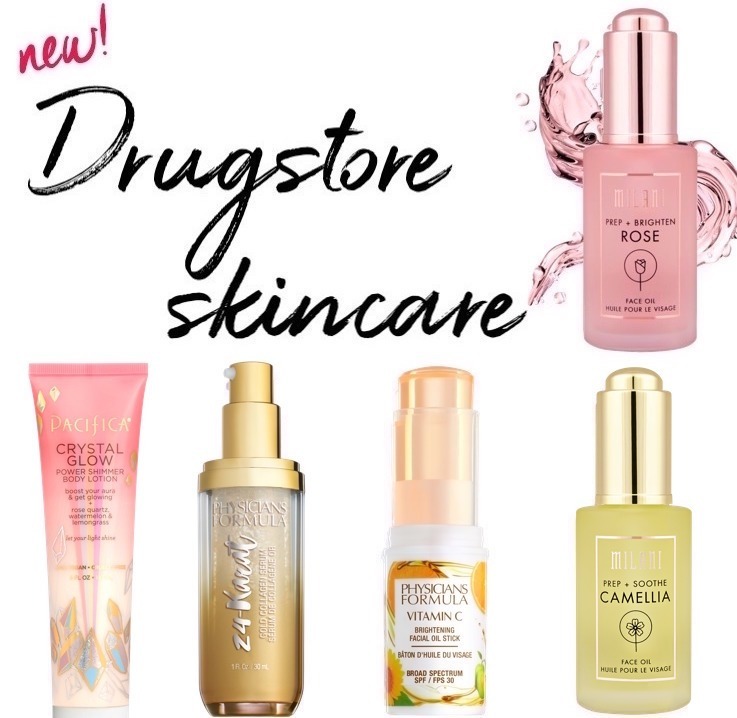 Get your FREE Cheat Sheet to Drugstore Skincare (for every skin type) when you sign up now! Plus, get access to exclusive giveaways & beauty tips, delivered to your inbox weekly! Your email address will never be sold or shared with anyone else.